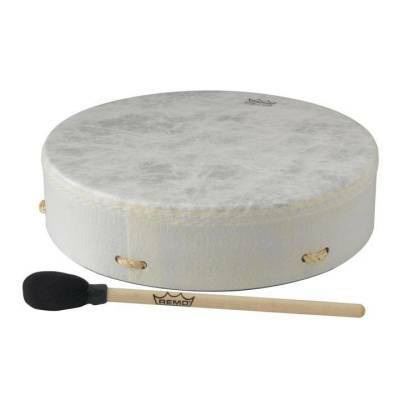 The Remo Standard Buffalo Drum is inspired by the indigenous cultures of the Americas. Equipped with a rope handle and a single mallet. The Remo Standard Buffalo Drum is manufactured with Remo's Fiberskyn drumheads and patented Acousticon drum shells for enhanced durability in any environment. Producing the same tonal characteristics found on traditional wood shell drums, the standard Buffalo Drums feature excellent projection and enhanced low-pitched fundamentals.